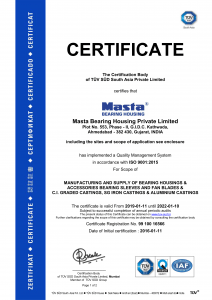 Taking ISO 9001-2015 As A Model For Quality System, Masta Have Independent Quality Control Set Up With A Team Of Qualified Engineers, Headed By Quality In-charge Daily Reporting To Management. The Quality Team Maintains A Well Groomed Collection Of Instruments And Gauges And Control Calibration Of The Same. The Team Also Spread Concept Of Quality Throughout The Organization With Regular Training To Workers And Staff. 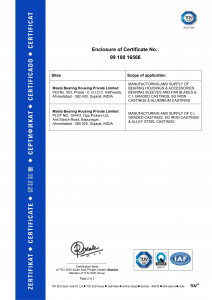 The Quality Team Maintains Not Only Routine And Consistent Checks Of Every Product But Also Carries Out In-process Validation As Well As Identifies Improvement Work Areas. 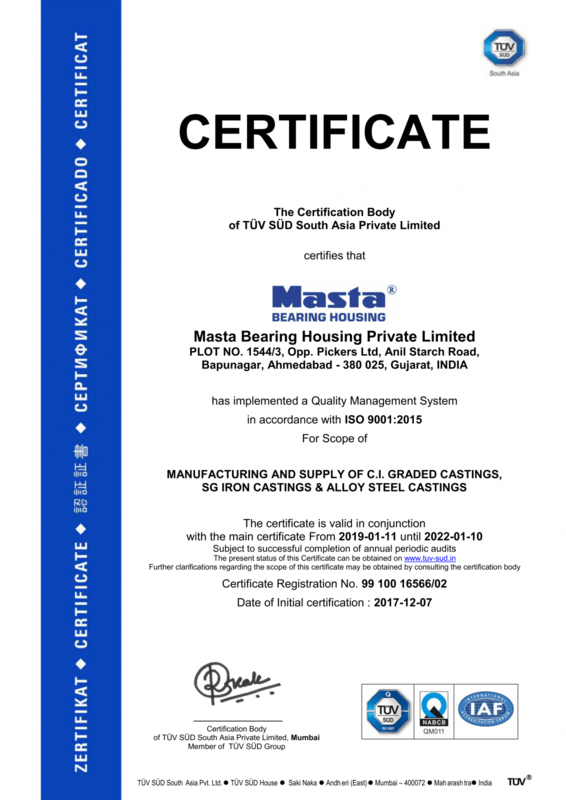 Masta Have Continued ISO Certification By TUV, SUD South Asia For Last Six Years. 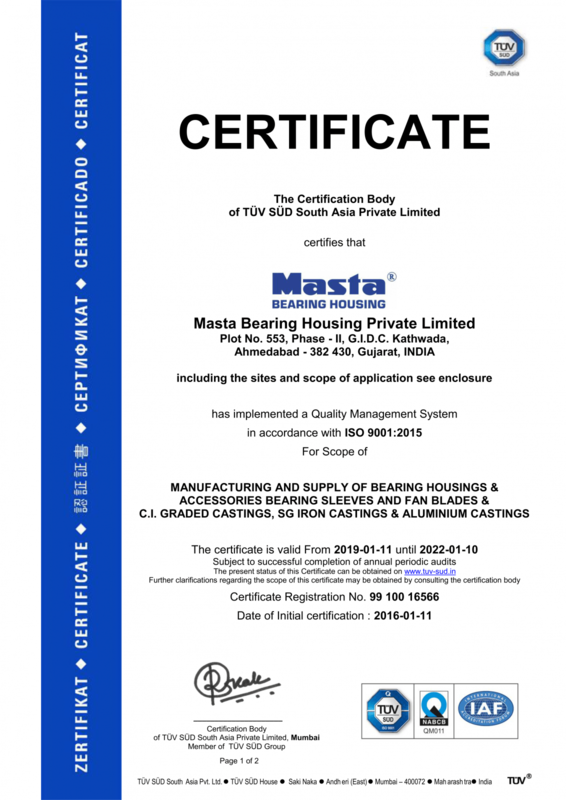 To Achieve Goal Of Continuous Improvement, Masta Opted For Work-atomization, Increased Use Of Digital Facility And Addition Of CNC Technology Year After Year. 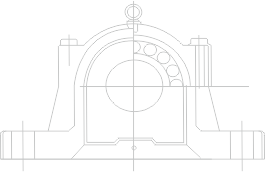 Product Development Is Carried Out By CAD Engineer In Auto-CAD And 3D Modeling. 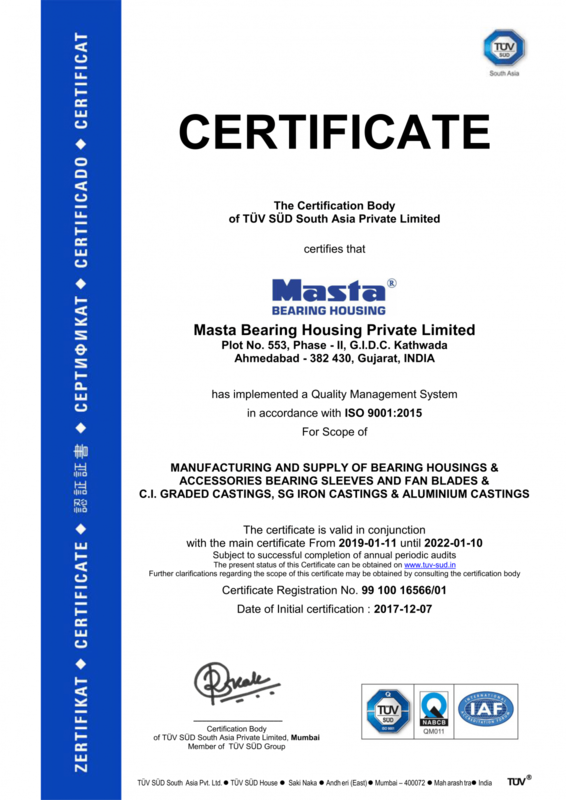 To Keep Pace With Use Of Modern Technology, Masta Have Been Adopting Improvement And Innovation In Production Process And Work Methods. 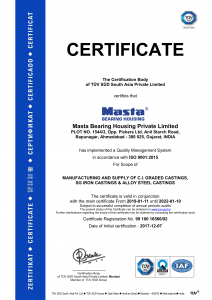 A Number Of Customers Have Accredited Quality System And Its Performance In Masta, After Quality Audit Of Masta By Their Independent Team As A Part Of Supplier-approval And Appraisal. 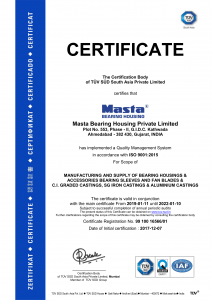 Masta Have Been Successfully Approved As A Quality Supplier In Every Instance Of Such Third Party Audit. 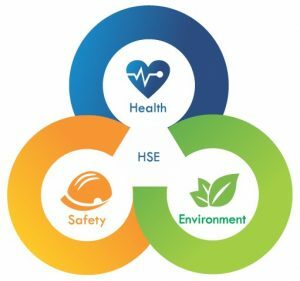 In Masta every process and activity is formed with specific attention to conserve Environment, which is prime duty of every employee in Masta. Our Human Resource Department is active to continously maintain safety and health norms in the company.